Senator Paolo Benigno "Bam" Aquino IV has recently filed Senate Resolution No. 29 which seeks to probe the status of education on Martial Law, specifically in basic and tertiary education in the country. Bam, who is currently the chairman of the Committee on Education in the 17th Congress, noted the false information circulating online regarding what is considered the darkest years in Philippine history. With the resolution, Bam hopes to know how Martial Law is taught to the youth. He also wants to make sure that the truth about its horrors is being imparted in schools. In the press release, historical records showing Martial Law's gruesome statistics were enumerated: 3,257 killed, estimated 35,000 tortured, and 70,000 imprisoned. The estimated $10 billion stolen by the Marcoses based on Presidential Commission on Good Government (PCGG) records was also mentioned. 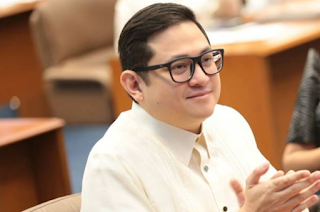 The senator, who is the nephew of Marcos' greatest political opponent, Benigno "Ninoy" Aquino Jr., is sad because it seems that a lot of people who sacrificed their lives during the era of Marcos' dictatorship have been forgotten. Martial Law was declared by then President Ferdinand Marcos on September 21, 1972 via Proclamation number 1081 and was lifted more than 8 years later, on January 17, 1981. Marcos dissolved Congress, suspended the 1935 Constitution and the privilege of the writ of habeas corpus, and wielded absolute power during Martial Law.